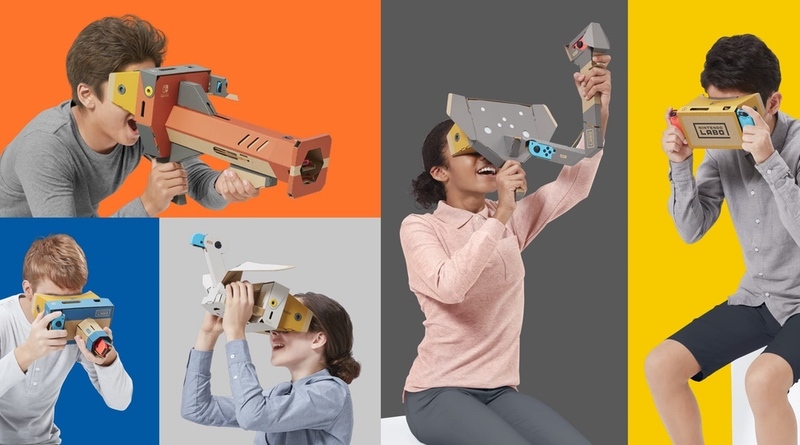 When Nintendo announced that the fourth Toy-Con was coming out and that it would be called Nintendo Labo: VR Kit, we were naturally intrigued to see what would be on tap. Along with the announcement came some pictures of the devices you could make out of cardboard, but no details were given regarding the software or what exactly would be playable and how it would all work. Today they lifted the veil a bit to give us more information as well as screens and video. Nintendo Labo: VR Kit will be releasing on April 12, 2019 for $79.99 for the entire set or $39.99 for the Starter Set.